Hello! 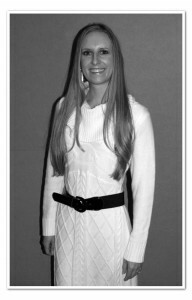 My name is Mechelle Reeve and I am the Past President for ASCLS-Idaho. I am a native of Utah. I obtained my education and MLS degree at Weber State University. I did two summer internships at the Mayo Clinic in Rochester, Minnesota in the Hematopathology Morphology lab where I gained invaluable experience. I have been an MLS for almost 9 years working as a Generalist, Hematology Supervisor, and I am currently the Blood Bank Key Operator at my hospital. I enjoy working as an MLS, being involved with the lab, serving on committees, and taking on extra projects whether I am asked or not. I like teaching coworkers and students and sharing my knowledge and experience with them. I like promoting and educating people about the laboratory and what we as laboratorians do behind-the-scenes that very few people (even other health professionals) seem to know about. I enjoy traveling, both in the US and internationally. I love the outdoors, swimming, camping, hiking, kayaking, and playing the piano. When we aren’t working, my husband and I enjoy doing things outdoors together, going country dancing, and spending time with family. I am very excited to continue to serve ASCLS-Idaho as the Past President this year and I would love to hear your ideas and suggestions. Please drop me a line!